Calvin Harris, Taylor Swift song: We give you the low-down. 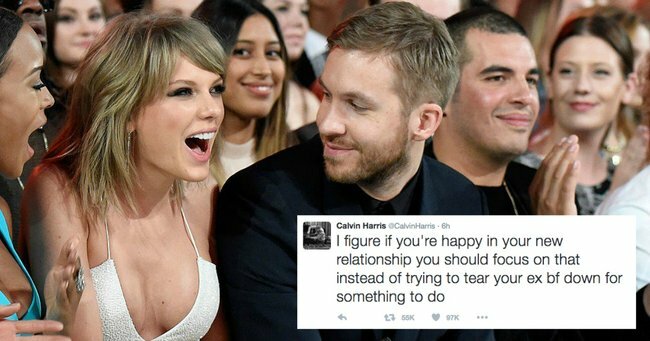 Calvin Harris is tweeting about Taylor Swift's new boyfriend and he's not happy. The very public, very messy breakup between one Taylor Swift and Calvin Harris has just entered into round 34,061. This time, it’s leaked insider info and some confrontational tweets on the menu. Oh yes. Some revealing, eye-opening, jaw-clenching tweets from Calvin pointing in the exact direction of his former flame who is now one part of ‘Hiddleswift‘ – the most confusing celeb hookup IN ALL OF HUMAN HISTORY. Overnight it was leaked to TMZ (by well, err... Taylor&apos;s people) that the Scottish DJ&apos;s latest hit track &apos;This Is What You Came For&apos; was actually written by Taylor herself. 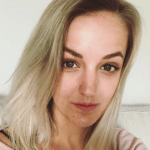 You see, when the pair were dating, T-Swizzle sat down at her piano, recorded a cool demo of the track, and sent it to her then-boyfriend&apos;s iPhone. Obviously, he freaking loved it. The pair decided to record a full demo in the studio with Tay on vocals and Calvin making the beat. While they both knew the track would become a sensation (which it did), the duo thought releasing a song together would overshadow the merits of the song itself. ENTER Rihanna as a stand-in vocalist, and Tay adopting a cool psuedo on the credits - Nils Sjoberg - to protect her anonymity. Fast forward a few weeks when the track was at the height of its success, and Calvin was on air with Ryan Seacrest. Halfway through the interview, Ryan asked if he&apos;d ever collaborate with his girlfriend. His response? “You know we haven’t even spoken about it. I can’t see it happening though." Now that this has spread thick and fast across the tabloids, Calvin wants to set the record straight. To our delight, he&apos;s doing so via Twitter. Here&apos;s Calvin&apos;s epic response to the hoopla that Taylor was the mastermind behind his song. I&apos;m gonna shut up because Calvin&apos;s words say more than enough. And then - THEN - came this zinger. Just as an EPIC side-note, Katy Perry then retweeted her own post from May 2015 shortly after Calvin&apos;s swipe. There you have it folks. Tay - who is currently in &apos;Straya with the other half of Hiddleswift, boyfriend/possible PR stunt buddy/actor Tom Hiddleston, is yet to respond to the #drah-mah.